Like most Calgarians, we love the people and ideas that are driving local business. But with the decline in legacy media, many of those stories are no longer getting told. That’s why we’re here. We are working to support Calgary’s transition to a new economy, to inspire and educate Calgarians about everything business – and to provide a platform for great people and ideas to find new talent and resources that will help us build to an even better Calgary. Information is power. The more our business leaders and entrepreneurs know about what is going on in this city, the more power they have to make good decisions that affect us all. Help us succeed. Subscribe to our daily newsletter or RSS feed. Share our articles with your friends and colleagues. 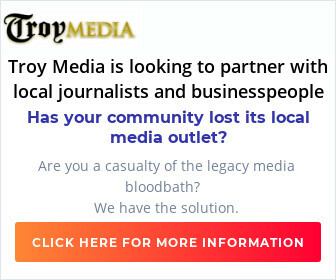 Buy advertising on our site. Donate to our cause. 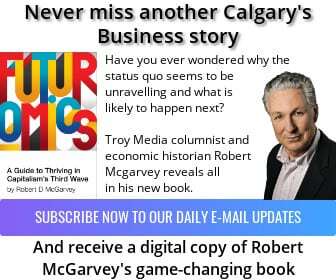 Help us tell the business stories that Calgarians need to know. Have a story that needs to be told? Send us news tips and story proposals to editorial@calgarysbusiness.ca. Doug Firby – President and Publisher Doug is an accomplished marketer, writer, editor and social media strategist. In his more than three decades in the daily newspaper business, he wrote, edited and managed high-performing news teams. For seven years, he was Editorial Pages Editor at the Calgary Herald. Mario Toneguzzi – Business reporter Over a four-decade career in journalism, Mario has covered sports, politics, health, crime, religion and business. As a business reporter for the Calgary Herald, he stayed on top of breaking stories and real estate news. Mario will let us know what’s happening in the Calgary business scene. Tim le Riche – Business reporter Tim recently retired as media strategist for Edmonton-based EPCOR Utilities. He previously worked more than 23 years in print journalism, including 20 years at the Edmonton Sun, the last nine as Business editor. Tim is based in Edmonton. 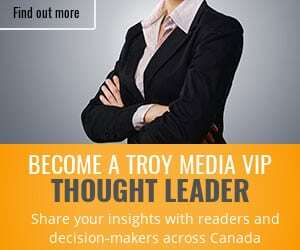 Gary Slywchuk – CEO, Troy Media Gary founded Troy Media in 2005 after decades as a reporter, editor, senior editor, sections editor and editor-in-chief for community and daily newspapers in Ontario and Alberta. He has a nuanced understanding of the industry and the best practices that lead to profitability. Fred Gorman – COO Fred was a regional president at Black Press Newspaper Group, where he was responsible for 19 publications including daily, community and farm publications. He has also served as president of the Alberta Weekly Newspapers Association. John Stewart – Editor-in-Chief John has spent more than three and a half decades working in the newspaper industry, as reporter, editor, columnist and finally as managing editor of the Red Deer Advocate. Joni Avram – Marketing, Brand And Engagement Strategist Joni is an award-winning strategist who is available to help build your brand and reputation, as well as to help cement your relationships within your community. Joe Batty – CFO Joe is an accountant with a long history in financial management. He is a leading authority on structuring and financing knowledge-rich companies. He has held many corporate directorships and senior management positions. Robert McGarvey – Chief Strategist/AcquisitionsRobert has held a variety of senior management positions including Managing Director of Merlin Consulting, a London, U.K.-based consulting firm. Robert has also been the president of Negawatt International Inc., a Canadian electronics group, and Head of Strategy for Beckett Advisors, a consulting group based in Los Angeles, Calif.
Hubert Lau – Strategic Business Adviser President and CEO of Ekota Central Ltd., Hubert is responsible for research and development as well as discovering new technologies to further Troy Media Digital Solutions and its Affiliates growth. Jamie Swanson – CTO Jamie got his start in the technology industry in the mid-1990s In 2000, he took on the role of Director of IT for a manufacturing company in Edmonton, where he learned the concepts of tying IT processes to business processes. Mehmet Ozekinci – Website Development Mehmet has created leading-edge news site themes used by some of the largest, and smallest, news sites in the world. Mehmet will ensure our website is continuously updated to take advantage of all the latest technological innovations to provide you – our readers – with a cutting-edge user experience.